THE JOURNEY TO HARRY OUSEY'S ABSTRACTED LANDSCAPES! 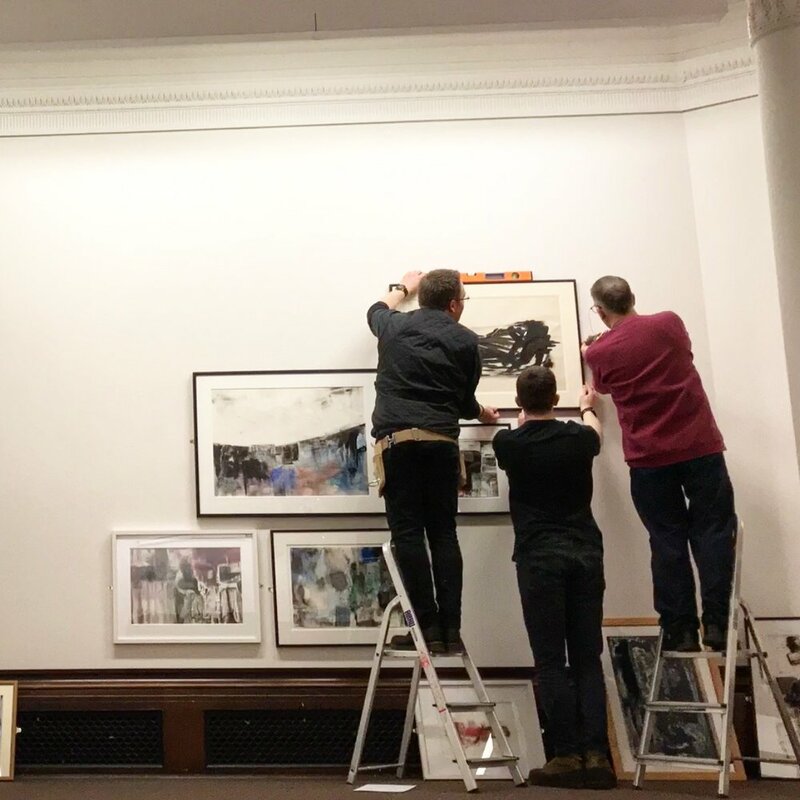 The Elephantstones Gallery crew and Sue have been busy organising and hanging the Harry Ousey Abstracted Landscapes Exhibition at Stockport War Memorial Art Gallery! Thank you to everyone who helped out! We couldn't have done it without you. The show opens on Saturday 20th January and if you pop in between 2-4pm you can enjoy a celebratory glass of wine and hear the opening speeches. Simon and Eve helping Sue to curate and group pieces for the show - 166 works in total! Putting mirror plates on the frames ready to be taken to the gallery! Here are some snaps from hanging the show. We had such fun doing it and really hope you like the show!